Arumugam Nallanathan is Professor of Wireless Communications and the Head of Communication Systems Research (CSR) Group in the School of Electronic Engineering and Computer Science at Queen Mary University of London from September 2017. He is also a Visiting Professor in the Department of Informatics at King's College London from September 2017. He was with the Department of Informatics at King's College London from December 2007 to August 2017, where he was Professor of Wireless Communications from April 2013 to August 2017. He was an Assistant Professor in the Department of Electrical and Computer Engineering, National University of Singapore from August 2000 to December 2007. His current research interests include Artificial Intelligence for Wireless Systems, Beyond 5G Wireless networks, Internet of Things (IoT) and Molecular Communications. He published more than 400 Journal and Conference papers with 8000+ citations and h-index of 45. He is a co-recipient of the Best Paper Awards presented at the IEEE Global Telecommunications Conference 2017 (GLOBECOM'2017), IEEE International Conference on Communications 2016 (ICC'2016) and IEEE Vehicular Technology Conference 2018 (VTC’2018). He has been selected as a Web of Science Highly Cited Researcher (also known as the World's Most Influential Scientific Minds) in 2016. He is an Editor for IEEE Transactions on Communications. He was an Editor for IEEE Transactions on Wireless Communications (2006-2011), IEEE Transactions on Vehicular Technology (2006-2017), IEEE Wireless Communications Letters and IEEE Signal Processing Letters. He served as the Chair for the Signal Processing and Communication Electronics Technical Committee of IEEE Communications Society,Technical Program Co-Chair (MAC track) for IEEE WCNC 2014, Co-Chair for the IEEE GLOBECOM 2013 (Communications Theory Symposium), Co-Chair for the IEEE ICC 2012 (Signal Processing for Communications Symposium), Co-Chair for the IEEE GLOBECOM 2011 (Signal Processing for Communications Symposium), Technical Program Co-Chair for the IEEE International Conference on UWB 2011 (IEEE ICUWB 2011), Co-Chair for the IEEE ICC 2009 (Wireless Communications Symposium), Co-chair for the IEEE GLOBECOM 2008 (Signal Processing for Communications Symposium) and General Track Chair for IEEE VTC 2008. He received the IEEE Communications Society Signal Processing and Communications Electronics (SPCE) outstanding service award 2012 and IEEE Communications Society RCC Outstanding Service Award 2014. He also received the best teaching award twice at the National University of Singapore. 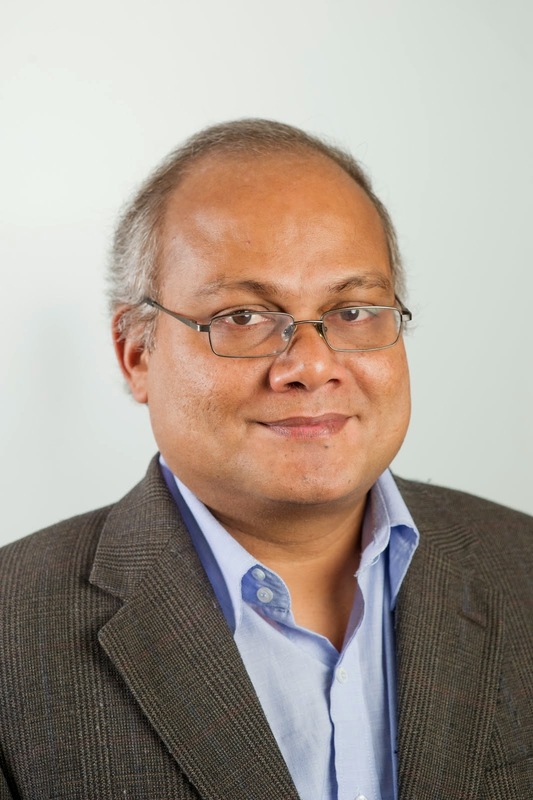 He is an IEEE Fellow and Distinguished Lecturer (for more details, click here). N. Varshney, A. Patel, W. Haselmayr, A.K Jagannatham, P.K Varshney and A. Nallanathan, 'Impact of Intermediate Nanomachines in Multiple Cooperative Nanomachine-Assisted Diffusion Advection Mobile Molecular Communication', to appear in IEEE Trans. on Communications, 2019. N. Jiang, Y. Deng, A. Nallanathan and J.A Chambers, 'Deep Reinforcement Learning for Real-Time Optimization in NB-IoT Networks', to appear in IEEE Journal on Selected Areas in Communications, 2019. H. Xing, L. Liu, J. Xu and A. Nallanathan, ’Joint Task Assignment and Resource Allocation for D2D-Enabled Mobile-Edge Computing', to appear in IEEE Trans. on Communications, 2019. D. Zhang, Y. Liu, L. Dai, A. Bashir, A. Nallanathan and B. Shim,'Performance Analysis of FD-NOMA-based Decentralized V2X Systems', to appear in IEEE Trans. on Communications, 2019. W. Yi, Y. Liu, A. Nallanathan and M. Elkashlan, ’Clustered Millimeter Wave Networks with Non-Orthogonal Multiple Access', to appear in IEEE Trans. on Communications, 2019. D. Fan, F. Gao, G. Wang, Z. Zhong and A. Nallanathan, 'Channel Estimation and Transmission Strategy for Hybrid MmWave NOMA Systems', to appear in IEEE Journal of Selected Topics in Signal Processing, 2019. N. Varshney, A. Patel, Y. Deng, W. Haselmayr, P.K Varshney and A. Nallanathan, 'Abnormality Detection inside Blood Vessels with Mobile Nanomachines', to appear in IEEE Trans. on Molecular Biological and Multi-scale Communications, 2019. M. Dissanayake, Y. Deng, A. Nallanathan, M. Elkashlan and U. Mitra, 'Interference Mitigation in Large-Scale Multiuser Molecular Communication', to appear in IEEE Trans. on Communications, 2019. C. Pan, H. Ren, Y. Deng, M. Elkashlan and A. Nallanathan, ''Joint Block Length and Location Optimization for URLLC-enabled UAV Relay Systems'', to appear in IEEE Communications Letters, 2019. Z. Li, M. Chen, C. Pan, N. Huang, Z. Yang and A. Nallanathan, 'Joint Trajectory and Communication Design for Secure UAV Networks', to appear in IEEE Communications Letters, 2019. C. Pan, H. Ren, M. Elkashlan, A. Nallanathan and L. Hanzo, ''Weighted Sum-Rate Maximization for the Ultra-Dense User-Centric TDD C-RAN Downlink Relaying on Imperfect CSI'', to appear in IEEE Trans. on Wireless Communications, 2019. C. Pan, H. Ren, M. Elkashlan, A. Nallanathan and L. Hanzo, ''Robust Beamforming Design for Ultra-Dense User-Centric C-RAN in the Face of Realistic Pilot Contamination and Limited Feedback'', to appear in IEEE Trans. on Wireless Communications, 2019. L. Xu, H. Xing and A. Nallanathan, ''Security Aware Cross-Layer Resource Allocation for Heterogeneous Wireless Networks'', to appear in IEEE Trans. on Communications, 2019. Y. Liu, Z. Qin, Y. Cai, Y. Gao, Y. Li and A. Nallanathan, ''UAV Communications Based on Non-Orthogonal Multiple Access'', to appear in IEEE Wireless Communications, 2019. N. Zhao, F.R Yu, Y. Chen, J. Tang, A. Nallanathan and V.C.M Leung, 'Caching UAV Enabled Small-Cell Networks', to appear in IEEE Vehicular Technology Magazine, 2019. M.O. Al-Kadri, A. Aijaz and A. Nallanathan, ''X-FDR: A Cross-Layer Routing Protocol for Multi-Hop Full-Duplex Wireless Networks', to appear in IEEE Wireless Communications, 2019. W. Huang, Z. Yang, C. Pan, M. Shikh-Bahaei, L. Pei, M. Chen, M. Elkashlan and A. Nallanathan, ‘Joint Power, Altitude, Location and Bandwidth Optimization for UAV with Underlaid D2D Communications', to appear in IEEE Wireless Communications Letters, 2019. B. Li, W. Guo, H. Zhang, C. Zhao, S. Li and A. Nallanathan, ''Spectrum Detection and Link Quality Assessment for Heterogeneous Shared Access Networks'', to appear in IEEE Trans. on Vehicular Technology, 2019. S. Al-Jaboori, X. Fernando, Y. Deng and A. Nallanathan, ''Impact of Interbranch Correlation on Multichannel Spectrum Sensing with SC and SSC Diversity Combining Schemes'', to appear in IEEE Trans. on Vehicular Technology, 2019. S. He, C. Qi, Y. Huang, Q. Hou and A. Nallanathan, 'Two-Level Transmission Scheme for Cache-Enabled Fog Radio Access Networks', IEEE Trans. on Communications, 2019. X. Tang, Y. Deng, Y. Cai, W. Yang and A. Nallanathan, 'Analyzing Power Beacon Assisted Multi-Source Transmission Using Markov Chain', IEEE Access, 2018. C. Pan, H. Ren, M. Elkashlan, A. Nallanathan and L. Hanzo, 'The Non-coherent Ultra-Dense C-RAN is Capable of Outperforming its Coherent Counterpart at a Limited Fronthaul Capacity', IEEE Journal on Selected Areas in Communications, Vol. 36, No. 11, pp. 2549-2560, November 2018. J. Zhao, F. Gao, G. Ding, T. Zhang, W. Jia and A. Nallanathan, 'Integrating Communications and Control for UAV Systems: Opportunities and Challenges', IEEE Access, 2018. F. Dian, F. Gao, Y. Liu, Y. Deng, G. Wang, Z. Zhong and A. Nallanathan, 'Angle Domain Channel Estimation in Hybrid MmWave Massive MIMO Systems', IEEE Trans. on Wireless Communications, 2018. N. Jiang, Y. Deng, A. Nallanathan X. Kang and T.Q.S Quek, 'Analysing Random Access Collisions in Massive IoT Networks', IEEE Trans. on Wireless Communications, 2018. N. Jiang, Y. Deng, X. Kang and A. Nallanathan, 'Random Access Analysis for Massive IoT Networks under A New Spatio-Temporal Model: A Stochastic Geometry Approach', IEEE Trans. on Communications, 2018. J. Cui, Y. Liu, Z. Ding, P. Fan and A. Nallanathan, ''QoE-based Resource Allocation for Multi-Cell NOMA Networks'', IEEE Trans. on Wireless Communications, 2018. L. Wang, K.K. Wong, S. Lambotharan, A. Nallanathan and M. Elkashlan “ Edge Caching in Dense Heterogeneous Cellular Networks with Massive MIMO Aided Self-backhaul', IEEE Trans. on Wireless Communications, 2018. W. Yi, Y. Liu and A. Nallanathan, 'Cache-enabled HetNets With Millimeter Wave Small Cells', IEEE Trans. on Communications, 2018. Z. Yang, C. Pan, M. Shikh-Bahaei, W. Xu, M. Chen, M. Elkashlan and A. Nallanathan, ‘Joint Altitude, Beamwidth, Location and Bandwidth Optimization for UAV-Enabled Communications', IEEE Communications Letters, 2018. H. Zhang, B. Wang, C. Jiang, K. Long, V.C.M Leung, A. Nallanathan and H.V Poor, ''Energy Efficient Dynamic Resource Optimization in NOMA Networks'', IEEE Trans. on Wireless Communications, 2018. X. Yue, Y. Liu, S. Kang, A. Nallanathan and Y. Chen, ''Modelling and Analysis of Two-Way Relay Non-Orthogonal Multiple Access Systems'', IEEE Trans. on Communications, 2018. X. Yue, Y. Liu, S. Kang, A. Nallanathan and Z. Ding, ''Spatially Random Relay Selection for Full/Half Duplex Cooperative NOMA Networks'', IEEE Trans. on Communications, 2018. H. Xing, Y. Liu, A. Nallanathan, Z. Ding and H.V Poor, ''Optimal Throughput Fairness Trade-offs for Downlink Non-Orthogonal Multiple Access over Fading Channels'', IEEE Trans. on Wireless Communications, 2018. H. Ren, N. Liu, C. Pan, M. Elkashlan, A. Nallanathan, X. You and L. Hanzo, ''Power and Rate Adaptation Improves the Effective Capacity of C-RAN for Nakagami-m Fading Channels'', IEEE Trans. on Vehicular Technology, 2018. J. Chen, Y. Deng, J. Jia, M. Dohler and A. Nallanathan, 'Cross-Layer QoE Optimization for D2D Communication in CR-enabled Heterogeneous Cellular Networks', IEEE Trans. on Cognitive Communications and Networking, 2018. L. Pei, Z. Yang, C. Pan, N. Huang, M. Chen, M. Elkashlan and A. Nallanathan, ''Energy-Efficient D2D Communication Underlaying NOMA Based Networks with Energy Harvesting'', IEEE Communications Letters, 2018. H. Zhang, Y. Qiu , K. Long, G. K. Karagiannidis, X. Wang and A. Nallanathan, '' Resource Allocation in NOMA based Fog Radio Access Networks'', IEEE Wireless Communications, 2018. N. Jiang, Y. Deng, M. Condoluci, W. Guo and A. Nallanathan, ''RACH Preamble Repetition in NB-IoT Network'', IEEE Communications Letters, 2018. Y. Liu, H. Xing, C. Pan, A. Nallanathan, M. Elkashlan and L. Hanzo, ''Exploiting the Multiple Antenna Technologies in Non-Orthogonal Multiple Access'', IEEE Wireless Communications, 2018. W. Wang, Y. Liu, Z. Luo, T. Jiang, Q. Zhang and A. Nallanathan, ''Toward Cross-Layer Design for Non-Orthogonal Multiple Access: A Quality-of-Experience Perspective'', IEEE Wireless Communications, 2018. H. Ren, N. Liu, C. Pan, M. Elkashlan, A. Nallanathan X. You and L. Hanzo, ''Maximum Statistical Delay-Guarantee for Net-Generation C-RAN: An Effective Capacity Based Approach'', IEEE Vehicular Technology Magazine, 2018. C. Pan, M. Elkashlan, H. Mehrpouyan and A. Nallanathan, ''Joint Pilot Allocation Robust Transmission Design for User-Centric Ultra-Dense TDD C-RAN with Imperfect CSI'', IEEE Trans. on Wireless Communications, 2018. J. Cui, Y. Liu, Z. Ding, P. Fan and A. Nallanathan, ''Optimal User Scheduling and Power Allocation for Millimeter wave NOMA Systems'', IEEE Trans. on Wireless Communications, 2018. Y.Liu, S. lambotharan, M. Derakhshani, A. Nallanathan and K.K Wong, ''Sensitivity and Asmptotic Analysis of Inter-Cell Interference against Pricing for Multi-Antenna Base Stations'', IEEE Trans. on Communications, 2018. Z. Qin, X. Yue, Y. Liu, Z. Ding and A. Nallanathan, ''User Association and Resource Allocation in Unified Non-Orthogonal Multiple Access Enabled Heterogeneous Ultra Dense Networks'', IEEE Communications Magazine, 2018. T. Cui, F. Gao, A. Nallanathan, H. Lin and C. Tellambura, ''Iterative Demodulation and Decoding Algorithm for 3GPP/LTE-A MIMO-OFDM Using Distribution Approximation'', IEEE Trans. on Wireless Communications, Vol. 17, No.2, pp. 1331-1342, February 2018. X. Yue, Y. Liu, S. Kang, A. Nallanathan and Z. Ding, ''Exploiting Full/Half-Duplex User Relaying in NOMA Systems'', IEEE Trans. on Communications, Vol. 66, No. 2, pp. 560-575, February 2018. L. Xu, A. Nallanathan, X. Pan, J. Yang and W. Liao,'' Security-Aware Resource Allocation with Delay Constraint for NOMA-based Cognitive Radio Network'', to appear in IEEE Trans. on Information Forensics and Security, Vol. 13, No. 12, pp. 366-376, February 2018. W. Guo, Y. Deng, H.B Yilmaz, N. Farsad, M. Elkashlan, C.B Chae, A. Eckford and A. Nallanathan, ''SMIET: Simultaneous Molecular Information and Energy Transfer'', IEEE Wireless Communications, Vol. 25, No. 1, pp. 106-113, February 2018. J. Ma, S. Zhang, H. Li, N. Zhao and A. Nallanathan,'' Iterative LMMSE Individual Channel Estimation over Relay Networks with Multiple Antennas'', IEEE Trans. on Vehicular Technology, Vol. 67, No. 1, pp. 423-435, January 2018. L. Xu, A. Nallanathan, J. Yang and W. Liao, ''Power and Bandwidth Allocation for Cognitive Heterogeneous Multi-homing Networks'', IEEE Trans. on Communications, Vol. 66, No. 1, pp. 394-403, January 2018. Y. Liu, Z. Qin, M. Elkashlan, Z. Ding, A. Nallanathan and L. Hanzo, ''Non-Orthogonal Multiple Access for 5G and Beyond'', Proceedings of the IEEE, Vol. 105, No. 12, pp. 2347-2381, December 2017. Y. Liu, Z. Qin, M. Elkashlan, A. Nallanathan and J. McCann, ''Non-Orthogonal Multiple Access in Large-Scale Heterogeneous Networks'', IEEE Journal on Selected Areas in Communications, Vol. 35, No. 12, pp. 2667-2680, December 2017. W. Yi, Y. Liu and A. Nallanathan, ''Modelling and Analysis of D2D Millimeter-Wave Networks with Poisson Cluster Processes'', IEEE Trans. on Communications, Vol. 65, No. 12, pp. 5574-5588, December 2017. V.D Nguyen, T.Q Duong, O.S Shin, A. Nallanathan and G.K Karagiannidis,'' Enhancing PHY Security of Cooperative Cognitive Radio Multicast Communications'', IEEE Trans. on Cognitive Communications and Networking, Vol. 3, No. 4, pp. 599-613, December 2017. D.S Karas, A. Boulogeorgos, G.K Karagiannidis and A. Nallanathan, “Physical Layer Security in the Presence of Interference'', IEEE Wireless Communications Letters, Vol. 6, No. 6, pp. 802-805, December 2017. D. Zhang, Y. Liu, Z. Ding, Z. Zhou, A. Nallanathan and D. Sato, ''Performance Analysis of Non-Regenerative Massive-MIMO NOMA Relay Systems for 5G'', IEEE Trans. on Communications, Vol. 65, No. 11, pp. 4777-4790, November 2017. S. Akbar, Y. Deng, A. Nallanathan, M. Elkashlan and G.K Karagiannidis, ''Massive Multiuser MIMO in Heterogeneous Cellular Networks with Full Duplex Small Cells'', IEEE Trans. on Communications, Vol. 65, No. 11, pp. 4704-4719, November 2017. J. Jia, Y. Deng, J. Chen, H. Aghvami and A. Nallanathan,''Achieving High Availability in Heterogeneous Cellular Networks via Spectrum Aggregation'', IEEE Trans. on Vehicular Technology, Vol. 66, No. 11, pp. 10156-10169, November 2017. Z. Chu, T.A Lee, H.X Nguyen, A. Nallanathan and Karamanoglu , “A Stackelberg-Game Approach for Disaster-Recovery Communications Utilizing Cooperative D2D'', IEEE Access, No. 99, November 2017. D. Fan, F. Gao, G. Wang, Z. Zhong and A. Nallanathan,'' Angle Domain Signal Processing Aided Channel Estimation for Indoor 60GHz TDD/FDD Massive MIMO Systems'', IEEE Journal on Selected Areas in Communications, Vol. 16, No. 9, pp. 1948-1961, September 2017. J. Zhao, Y. Liu, K.K Chai, A. Nallanathan, Y. Chen and Z. Han, ''Spectrum Allocation and Power Control for Non-Orthogonal Multiple Access in HetNets'', IEEE Trans. on Wireless Communications, Vol. 16, No. 9, pp. 5825-5837, September 2017. L. Xu, A. Nallanathan and Y. Yang,'' Video Packet Scheduling with Stochastic QoS for Cognitive Heterogeneous Networks'', IEEE Trans. on Vehicular Technology, Vol. 66, No. 8, pp. 7518-7526, August 2017. J. Ma, H. Li, S. Zhang, N. Zhao and A. Nallanathan, “Pattern Division for Massive MIMO Networks with Two-Stage Precoding'', IEEE Communications Letters, Vol. 21, No. 7, pp. 1665-1668, July 2017. H. Xing, K. Xin, K.K Wong and A. Nallanathan,''Optimizing DF Cognitive Radio Networks with Full-Duplex-Enabled Energy Access Points'', IEEE Trans. on Wireless Communications, Vol. 16, No. 7, pp. 4683-4697, July 2017. J. Jia, Y. Deng, J. Chen, H. Aghvami and A. Nallanathan, “Availability Analysis and Optimization in CoMP and CA-enabled HetNets'', IEEE Trans. on Communications, Vol. 65, No. 6, pp. 2438-2450, June 2017. M. Dissanayake, Y. Deng, A. Nallanathan, N. Ekanayake and M. Elkashlan, “Reed Solomon Codes for Molecular Communications with a Full absorption Receiver'', IEEE Communications Letters, Vol. 21, No. 5, pp. 1245-1248, June 2017. Y. Deng, A. Noel, W. Guo, A. Nallanathan and M. Elkashlan, '' Analyzing Large-Scale Multiuser Molecular Communication via 3D Stochastic Geometry'', IEEE Trans. on Molecular, Biological and Multi-Scale Communications, Vol. 3, No. 2, pp. 118-133, June 2017. N. Zhao, S. Zhang, F.R. Yu, Y. Chen, A. Nallanathan and V.C.M Leung, “Exploiting Interference for Energy Harvesting: A Survey, Research Issues and Challenges'', IEEE Access, Vol. 5, pp. 10403-10421, May 2017. M.O. Al-Kadri, Y. Deng, A. Aijaz and A. Nallanathan, “Full Duplex Small Cells for Next Generation Heterogeneous Cellular Networks: A Case Study of Outage and Rate Coverage Analysis'', IEEE Access, Vol. 5, pp. 8025-8038, May 2017. Z. Qin, Y. Liu, Y. Gao, M. Elkashlan and A. Nallanathan,'' Wireless Powered Cognitive Radio Networks with Compressive Sensing and Matrix Completion'', IEEE Trans. on Communications, Vol. 65, No. 4, pp. 1464-1476, April 2017. X. Yue, Y. Liu, S. Kang and A. Nallanathan, “Outage Behaviour Analysis of NOMA with Fixed Gain Relaying over Nakagami-m Fading Channels'', IEEE Access, Vol. 5, pp. 5445-5454, March 2017. L. Xu, A. Nallanathan and X. Song,'' Joint Video Packet Scheduling, Subchannel Assignment and Power Allocation for Cognitive Heterogeneous Networks'', IEEE Trans. on Wireless Communications, Vol. 16, No.3, pp. 1703-1712, March 2017. H. Zhang, Y. Nie, J. Cheng, V.C.M Leung and A. Nallanathan, “ Sensing Time Optimization and Power Control for Energy Efficient Cognitive Small Cell with Imperfect Hybrid Spectrum Sensing'', IEEE Trans. on Wireless Communications, Vol. 16, No.2, pp. 730-743, February 2017. Y. Deng, W. Guo, A. Noel, A. Nallanathan and M. Elkashlan, “Enabling Energy Efficient Molecular Communication via Molecule Energy Transfer'', IEEE Communications Letters, Vol. 21, No. 2, pp. 254-257, February 2017. P.D. Diamantoulakis, K.N. Pappi, G.K. Karagiannidis, H. Xing and A. Nallanathan, “Joint Downlink/Uplink Design for Wireless Powered Networks with Interference'', IEEE Access, Vol. 5, pp. 1534-1547, January 2017. H. Xing, K.K. Wong, A. Nallanathan and R. Zhang,'' Wireless Powered Cooperative Jamming for Secrecy Multi-AF Relaying Networks'', IEEE Trans. on Wireless Communications, Vol. 15, No. 12, pp. 7971-7984, December 2016. L. Wang, K.K. Wong, M. Elkashlan, A. Nallanathan and S. Lambotharan, “Secrecy and Energy Efficiency in Massive MIMO Aided Heterogeneous C-RAN: A New Look at Interference'', IEEE Journal of Selected Topics in Signal Processing, Vol. 10, No. 8, pp. 1375-1389, December 2016. K. Cumanan, H. Xing, P.Xu, G.Zheng, X. Dai, A. Nallanathan, Z.Ding and G.K. Karagiannidis, “Physical Layer Security Jamming: Theoretical Limits and Practical Designes in Wireless Networks'', IEEE Access, Vol. 5, pp. 3603-3611, December 2016. Al-Talabani Ali, Y. Deng, A. Nallanathan and H.Nguyen, “Enhancing Secrecy Rate in Cognitive Radio Networks via Stackelberg Game'', IEEE Trans. on Communications, Vol. 64, No. 11, pp. 4764-4775, November 2016. H. Zhang, H. Xing, J. Cheng, A. Nallanathan and Victor C.M. Leung,'' Secure Resource Allocation for OFDMA Two-Way Relay Wireless Sensor Networks with and without Cooperative Jamming'',IEEE Trans. on Industrial Informatics, Vol. 12, No. 5, pp. 1714-1725, October 2016. T.Q. Duong, T.M. Hoang, C. Kundu, M. Elkashlan and A. Nallanathan,'' Optimal Power Allocation for Multiuser Secure Communication in Cooperative Relaying Networks'', IEEE Wireless Communications Letters, Vol. 5, No. 5, pp. 516-519, August 2016. Sunila Akbar, Y. Deng, A. Nallanathan, M. Elkashlan and Hamid Aghvami, “Simultaneous Wireless Information and Power Transfer in K-tier Heterogeneous Cellular Networks'', IEEE Trans. on Wireless Communications, Vol. 15, No. 8, pp. 5804-5818, August 2016. K. Zaidi, M. Milojevic, V. Rakocevic, A. Nallanathan, M. Rajarajan, “ Host Based Intrusion Detection for VANETs: A statistical approach to Rogue Node Detection”, IEEE Trans. on Vehicular Technology, Vol. 65, No. 8, pp. 6703-6714, August 2016. Weisi Guo, Y. Deng, Bin Li, C. Zhao and A. Nallanathan, “Eavesdropper Localization in Random Walk Channels'', IEEE Communications Letters, Vol. 20, No. 9, pp. 1776-1779, July 2016. Bin Li, Jia Hu, Xiaofan Li, Y. Nan, A. Nallanathan and C. Zhao, ''Deep Sensing for Space-Time Doubly Selective Channels: When a Primary User is Mobile and the Channel is Flat Rayleigh Fading'',IEEE Trans. on Signal Processing, Vol. 64, No. 13, pp. 3362-3375, July 2016. Z. Yang, Jun Deng and A. Nallanathan, “Moving Target Recognition Based on Transfer Learning and Three-Dimensional Over-Complete Dictionary'', Vol. 16, No. 14, pp. 5671-5681, IEEE Sensors Journal, July 2016. Y. Deng, K. Kim, T.Q. Duong, M. Elkashlan, G. Karagiannidis and A. Nallanathan, “Full Duplex Spectrum Sharing in Cooperative Single Carrier Systems'', IEEE Trans. on Cognitive Communications and Networking, Vol. 2, No. 1, pp. 68-82, June 2016. Al-Talabani Ali, Y. Deng, A. Nallanathan and H.Nguyen, “Enhancing Secrecy Rate in Cognitive Radio Networks via Multi-Level Stackelberg Game'', Vol. 20, No. 6, pp. 1112-1115, IEEE Communications Letters, June 2016. Lei Xu and A. Nallanathan,'' Energy-Efficient Chance-Constrained Resource Allocation for Multicast Cognitive OFDM Networks'', IEEE Journal on Selected Areas in Communications, Vol. 34, No. 5, pp. 1298-1306, May 2016. Y. Deng, L. Wang, M. Elkashlan, A. Nallanathan and R.K. Mallik,'' Physical Layer Security in Three-Tier Wireless Sensor Networks: A Stochastic Geometry Approach'', IEEE Trans. on Information Forensics and Security, Vol. 11, No. 6, pp. 1128-1138, March 2016. H. Sun, A. Nallanathan, S. Cui and C.X. Wang, “Cooperative Wideband Spectrum Sensing over Fading Channels”, IEEE Trans. on Vehicular Technology, Vol. 65, No. 3, pp. 1382-1394, March 2016. Y. Xie, Y. Wang, A. Nallanathan and L. Wang, ''An Improved K-Nearest-Neighbour Indoor Localization method Based on Spearman Distance'', IEEE Signal Processing Letters, Vol. 23, No. 3, pp. 351-355, March 2016. Li Min, Lin Min, Wei-Peng Zhou, Y. Huang, Q. Yu and A. Nallanathan, “ Performance Analysis of MIMO MRC Systems with Feedback Delay and Channel Estimation Error'', IEEE Trans. on Vehicular Technology, Vol. 65, No.2, pp. 707-717, February 2016. M. Al-Kadri, A. Aijaz and A. Nallanathan,'' An Energy-Efficient Full-Duplex MAC Protocol for Distributed Wireless Networks'', IEEE Wireless Communications Letters, Vol. 5, No. 1, pp. 44- 47, February 2016. Y. Deng, Adam Noel, M. Elkashlan, A. Nallanathan and K. Cheung, “Modelling and Simulation of Molecular Communication Systems with a Reversible Adsorption Receiver'', IEEE Trans. on Molecular, Biological and Multi-Scale Communications, Vol. 1, No. 4, pp. 347-362, December 2015. H. Xing, K.K. Wong, Z. Chu and A. Nallanathan,'' To Harvest and Jam: A Paradigm of Self-Sustaining Friendly Jammers for Secure AF Relaying'', IEEE Trans. on Signal Processing, Vol. 63, No. 24, pp. 6616-6631, December 2015. Chenhao Qi, Lenan Wu, Yongming Huang and A. Nallanathan, “Joint Design of Pilot Power and Pilot Pattern for Sparse Cognitive Radio Systems“, IEEE Trans. on Vehicular Technology, Vol.64, No.11, pp. 5384-5390, November 2015. H. Zhang, H. Liu, C. Jiang, Xiaoli Chu, A Nallanathan and Xiangming Wen “A Practical Semi-dynamic Clustering Scheme Using Affinity Propagation in Cooperative Picocells “ IEEE Trans. on Vehicular Technology, Vol. 64, No. 9, pp. 4372-4377, September 2015. M. Elkashlan, L. Wang, T. Q. Duong, G.K. Karagiannidis and A. Nallanathan, ''On the Security of Cognitive Radio Networks'', IEEE Trans. on Vehicular Technology, Vol. 64, No. 8, pp. 3790-3795, August 2015. Bin Li, S. Li, J. Hou, J. Fu, C. Zhao and A. Nallanathan, “ A Bayesian Approach for Adaptively Modulated Signal Recognition in Next-Generation Communications”, IEEE Trans. on Signal Processing, Vol. 63, No. 16, pp. 4359-4372, August 2015. Bin Li, S. Li, A. Nallanathan, C. Zhao and Z. Zhou, “ Deep Sensing for Next-generation Dynamic Spectrum Sharing: More Than Detecting the Occupancy State of Primary Spectrum”, IEEE Trans. on Communications, Vol. 63, No. 7, pp. 2442-2457, July 2015. Bin Li, C.Zhao, M.Sun, H. Zhang, Z. Zhou and A. Nallanathan, “ A Bayesian Approach for Nonlinear Equalization and Signal Detection in Millimeter-wave Communications”, IEEE Trans. on Wireless Communications, Vol. 14, No. 7, pp. 3794-3809, July 2015. Bin Li, S. Li, A. Nallanathan and C. Zhao, “Deep Sensing for Future Spectrum and Location Awareness 5G Communications”, IEEE Journal on Selected Areas in Communications, Vol. 33, No. 7, pp. 1331-1344, July 2015. Al-Talabani Ali, A. Nallanathan and Huan Nguyen, “A Novel Chaos Based Cost Function for Power Control of Cognitive Radio Networks'', IEEE Communications Letters, Vol. 19, No. 4, pp. 657-660, April 2015. C. Qi, G. Yue, L. Wu, Y. Huang and A. Nallanathan, “Pilot Design for Sparse Channel Estimation in OFDM Systems'', IEEE Trans. on Vehicular Technology, Vol. 64, No. 4, pp. 1493-1505, April 2015. Bin Li, Zheng Zhou, H. Zhang, C. Zhao and A. Nallanathan, “Efficient and Robust Cluster Identification for Ultra-wideband Propagation Inspired by Biological Ant Colony Clustering”, IEEE Trans. on Communications, Vol. 63, No. 1, pp. 286-300, January 2015. Bin Li, M. Sun, Xiaofan Li, A. Nallanathan and Chenglin Zhao, ''Energy Detection based Spectrum Sensing for Cognitive Radios over Time-Frequency Doubly Selective Fading Channels'', IEEE Trans. on Signal Processing, Vol. 63, No.2, pp. 402-417, January 2015. Bin Li, C. Zhao, M. Sun, Z. Zhao and A. Nallanathan, “Spectrum Sensing for Cognitive radios in Time-Variant Flat fading Channels: A Joint Estimation Approach'', IEEE Trans. on Communications, Vol. 62, No.8, pp. 2665-2680, August 2014. Zhang Qi, Yong Qian, Qin Jiayin and A. Nallanathan, “On the Feasibility of the CJ Three-User Interference Alignment Scheme for SISO OFDM Systems'', IEEE Communications Letters, Vol. 18, No.2, pp. 309-312, February 2014. Bin Li, Z. Zhou, H. Zhang and A. Nallanathan, “Efficient Beam-forming Training for 60GHz Millimeter-wave Communications: A Novel Numerical Optimization Framework'', IEEE Trans. on Vehicular Technology, Vol. 63, No. 2, pp. 703-717, February 2014. C. Qi, Guosen Yue, L. Wu and A. Nallanathan, “Pilot Design for Sparse Channel Estimation in OFDM-Based Cognitive Radio Systems “, IEEE Trans. on Vehicular Technology, Vol. 63, No. 2, pp. 982-987, February 2014. N. Zhao, R. Yu, H. Sun, A. Nallanathan and H. Yin, “A Novel Interference Alignment Scheme Based on Sequential Antenna Switching in Wireless Networks'', IEEE Trans. on Wireless Communications, Vol. 12, No. 10, pp. 5008-5021, October 2013. H. Sun, A. Nallanathan, C.X. Wang and Y. Chen, ''Wideband Spectrum Sensing for Cognitive Radios: A Survey'', IEEE Wireless Communications, Vol. 20, No. 2, pp. 74-81, April 2013. T.Q. Duong, D.B. Da Costa, G. Alexandropoulos, Vo Nguyen Bao and A. Nallanathan, ''Cognitive Amplify-and-Forward Relaying with Best Relay Selection in Non-identical Rayleigh Fading'', IEEE Communications Letters, Vol. 17, No. 3, pp. 475-478, March 2013. H. Sun, A. Nallanathan, B. Tan, J. Jiang, John S. Thompson and H. Vincent Poor, ''Relaying Technologies of ICT for Smart Grid'', IEEE Wireless Communications, pp. 52-59, December 2012. T. Q. Duong, H.A. Suraweera, T. Tsiftsis, Hans-Jurgen Zepernick and A. Nallanathan, '' Keyhole effect in MIMO Amplify-and-Forward Transmission with Space-Time Block Codes'', IEEE Trans. on Communications, Vol. 60, No. 12, pp. 3683-3693, December 2012. T.Q. Duong, D.B. Da Costa, T. Tsiftsis, C. Zhong and A. Nallanathan, ''Outage and Diversity of Cognitive Relaying Systems under Spectrum Sharing Environments in Nakagami-m Fading'', IEEE Communications Letters, Vol. 16, No. 12, pp. 2075-2078, December 2012. H. Sun, Chiu Wei-Yu and A. Nallanathan, ''Enhancing the Throughput of Wideband Cognitive Radio by Adaptive Sensing'', IEEE Communications Letters, Vol. 16, No. 11, pp. 1812-1815, November 2012. H. Sun, Chiu Wei-Yu, J. Jiang, A. Nallanathan and H. Vincent Poor, ''Wideband Spectrum Sensing with Sub-Nyquist Sampling in Cognitive Radios'', IEEE Trans. on Signal Processing, Vol. 60, N0. 11, pp. 6068-6073, November 2012. L. Tang, Y. Chen, A. Nallanathan and E.L. Hines, ''Performance Evaluation of Spectrum Sensing Using Recovered Secondary Frames with Decoding Errors'', IEEE Trans. on Wireless Communications, Vol. 11, No. 8, pp. 2934- 2945, August 2012. S. He Y. Huang, L.Yang, A. Nallanathan and Y. Pan, '' An Energy Efficient Multi-cell Beamforming Design by Uplink-Downlink Duality'', IEEE Trans. on Wireless Communications, Vol. 11, No. 8, pp.2858-2867, August 2012. Weile Zhang, Feifei Gao, Qinye Yin and A. Nallanathan'' Blind carrier Frequency Offset Estimation for Interleaved OFDMA Uplink", IEEE Trans. on Signal Processing, Vol. 60, No. 7, pp. 3616-3627, July 2012. Stergios Stotas and A. Nallanathan,“On the Throughput and Spectrum Sensing Enhancement of Opportunistic Spectrum Access Cognitive Radio Networks”, IEEE Trans. on Wireless Communications, Vol. 11, No. 1, pp. 97-107, January 2012. Guftaar Sidhu, Feifei Gao, Wen Chen and A. Nallanathan, "A Joint Resource Allocation Scheme for Multiuser Two-Way Relay Networks", IEEE Trans. on Communications, Vol. 59, No. 11, pp. 2970-2975, November 2011. Stergios Stotas and A. Nallanathan,“On the Outage Capacity of Sensing-Enhanced Spectrum Sharing Cognitive Radio Systems in Fading Channels”, IEEE Trans. on Communications, Vol. 59, No. 10, pp. 2871-2882, October 2011. Stergios Stotas and A. Nallanathan,“Enhancing the Capacity of Spectrum Sharing Cognitive Radio Networks”, IEEE Trans. on Vehicular Technology, Vol. 60, No. 8, pp. 3768-3779, October 2011. A. Firag, Peter. J Smith, Himal A. Suraweera and A. Nallanathan, “Performance of Beamforming in Correlated MISO Systems with Estimation Error and Feedback Delay”, IEEE Trans. on Wireless Communications, Vol. 10, No. 8, pp. 2592-2602, August 2011. Himal A. Suraweera, Peter J. Smith, A. Nallanathan and John S. Thompson “Amplify and Forward (AF) Relaying with Optimal and Suboptimal Transmit Antenna Selection”, IEEE Trans. on Wireless Communications, Vol. 10, No. 6, pp. 1874-1885, June 2011. Tao Cui, Feifei Gao and A. Nallanathan,“Optimization of Cooperative Spectrum Sensing in Cognitive Radio”, IEEE Trans. on Vehicular Technology, Vol. 60, No. 4, pp. 1578-1589, May 2011. Himal A. Suraweera, Theodoros A. Tsiftsis, George K. Karagiannidis and A. Nallanathan “Effect of Feedback Delay on Amplify-and-Forward Relay Networks with Beamforming”, IEEE Trans. on Vehicular Technology, Vol. 60, No.3, pp. 1265-1271, March 2011. Qian Chen, M. Motani, W.C.L. Wong and A. Nallanathan, “Cooperative Spectrum Sensing protocols for Cognitive Radio mesh Networks”, IEEE Journal of Selected Topics in Signal Processing, Vol. 5, No. 1, pp. 56-67, February 2011. Stergios Stotas and A. Nallanathan, “Optimal Sensing Time and Power Allocation in Multiband Cognitive Radio Networks”, IEEE Trans. on Communications, Vol. 59, No. 1, pp. 226 - 235, January 2011. Himal A. Suraweera, H.K.Garg and A. Nallanathan, “Performance Analysis of Two Hop Amplify-and-Forward Systems with Interference at the Relay”, IEEE Communications Letters, Vol.14, No. 8, pp. 692-694, August 2010. Bin Jiang, Feifei Gao, Xiqi Gao and A. Nallanathan, “Channel Estimation and Training Design for Two-Way Relay Networks with Power Allocation”, IEEE Trans. on Wireless Communications, Vol. 9, No.6, pp. 2022- 2032, June 2010. Q. Zhang, Fengqi Yu and A. Nallanathan, “Improving Achievable Rates in MPSK Amplify-and-Forward Relay Networks via Clipping”, IEEE Trans. on Vehicular Technology, Vol. 59, No. 5, pp. 2133- 2137, June 2010. The-Hanh Pham, Y.-C. Liang, A. Nallanathan and H.K. Garg, “Optimal Training Sequences for Channel Estimation in Bi-Directional Relay Networks with Multiple Antennas”, IEEE Trans. on Communications, Vol. 58, No. 2, pp. 474-479, February 2010. Zhong Zhimeng, Zhu Shihua and A. Nallanathan, "Delay-Tolerant Distributed Linear Convolutional Space-Time Code with Minimum Memory Length under Frequency-selective Channels" , IEEE Trans. on Wireless Communications, Vol. 8, No. 8, pp. 3944-3949, August 2009. The-Hanh Pham, Y.-C. Liang and A. Nallanathan, “A Joint Channel Estimation and Data Detection Receiver for Multiuser MIMO IFDMA Systems”, IEEE Trans. on Communications, Vol. 57, No. 6, pp. 1857-1865, June 2009. Q. Zhang, A. Nallanathan and H.K. Garg, “Monobit Digital Eigen-Based Receiver for Transmitted-Reference UWB Communications”, IEEE Trans. on Wireless Communications, Vol. 8, No. 5, pp. 2312-2316, May 2009. Q. Zhang, Wei Cao, A. Nallanathan and H.K. Garg, “Combined Synchronization and Power Control for Differentially-Encoded Di-Symbol Time-Division Multiuser Impulse Radio”, IEEE Trans. on Wireless Communication, Vol. 8, No. 3, pp. 1171-1176, March 2009. The-Hanh Pham, Y.-C. Liang, A. Nallanathan and Garg Hari Krishna, “On the Design of Optimal Training Sequence for Bi-Directional Relay Networks”, IEEE Signal Processing Letters, Vol. 16, No. 3, pp. 200-203, March 2009. Tao Cui, Feifei Gao, Tracey Ho and A. Nallanathan, "Distributed Space-Time Coding for Two-Way Wireless Relay Networks", IEEE Trans. on Signal Processing, Vol. 57, No. 2, pp. 658-671, February 2009. Kang Xin, Y.-C. Liang, A. Nallanathan, H.K. Garg and R. Zhang, “Optimal Power Allocation for Fading Channels in Cognitive Radio Networks: Ergodic Capacity and Outage Capacity”, IEEE Trans. on Wireless Communications, Vol. 8, No. 2, pp. 940 - 950, February 2009. Zhimeng Zhong, Shihua Zhu and A. Nallanathan “Distributed Space-Time Trellis Code for Asynchronous Cooperative Communications under Frequency-Selective Channels” IEEE Trans. on Wireless Communications, Vol. 8, No. 2, pp. 796 - 805, February 2009. The-Hanh Pham, Y.-C. Liang and A.Nallanathan,“Doubly Iterative Receiver for Block-By-Block Transmission with EM-Based Channel Estimation”, IEEE Trans. on Wireless Communications, Vol. 8, No. 2, pp. 656 - 661, February 2009. Feifei Gao, T. Cui, and A. Nallanathan, “Optimal Training Design for Channel Estimation in Decode-and-Forward Relay Networks with Individual and Total Power Constraints”, IEEE Trans. on Signal Processing, Vol. 56, No. 12, pp. 5937-5949, December 2008. Shan Cheng, P.Y. Kam and A. Nallanathan, "A Symbol-by-Symbol Channel Estimation Receiver for Space-Time Block Coded Systems on the Non-selective Rayleigh Fading Channel”, IEEE Trans. on Communications, Vol. 56, No. 12, pp. 2116 – 2124, December 2008. Q. Zhang and A. Nallanathan “Delay-Sum Antenna Array Reception for Transmitted-Reference Impulse Radio”, IEEE Trans. on Wireless Communications, Vol. 7, No. 12, pp. 5220-5226, December 2008. Q. Zhang and A. Nallanathan, “Transmitted-Reference Impulse Radio Systems Based on Selective Combining”, IEEE Trans. on Wireless Communications, Vol. 7, No. 11, pp. 4105-4109, November 2008. The-Hanh Pham, A. Nallanathan and Y.-C. Liang, “Computationally Efficient Joint Channel Estimation and Data Detection for SIMO Systems: An ECM-Based Approach”, IEEE Trans. on Wireless Communications, Vol. 7, No.11, pp. 4041- 4046, November 2008. Wei Cao, A. Nallanathan and Chin Choy Chai “A Novel High Data Rate Prerake DS UWB Multiple Access System: Interference Modeling and Tradeoff between Energy Capture and Imperfect Channel Estimation Effect”, IEEE Trans. on Wireless Communications, Vol. 7, No. 9, pp.3558-3567, September 2008. Feifei Gao, T. Cui, A. Nallanathan and C. Tellambura, “ML Based Estimation of Frequency and Phase Offsets in DCT-OFDM Systems via Non-Circular Sources: Algorithms, Analysis and Comparisons”, IEEE Trans. on Communications, Vol. 56, No. 9, pp. 1425- 1429, September 2008. Feifei Gao, A. Nallanathan and Yide Wang “Improved MUSIC under the Coexistence of Both Non-Circular and Circular Sources”, IEEE Trans. on Signal Processing, Vol. 56, No. 7, pp. 3033-3038, July 2008. Feifei Gao, T. Cui and A. Nallanathan “On Channel Estimation and Optimal Training Design for Amplify and Forward Relay Networks”, IEEE Trans. on Wireless Communications (Special issue on Cooperative Communications), Vol. 7, No. 5, pp. 1907- 1916, May 2008. Feifei Gao, Tao Cui and A. Nallanathan, “Scattered Pilots and Virtual Carriers Based Frequency Offset Tracking for OFDM Systems: Algorithms, Identifiability, and Performance Analysis”, IEEE Trans. on Communications, Vol. 56, No. 4, pp. 619-629, April 2008. Feifei Gao, Y. Zeng, A. Nallanathan and T.S. Ng “Robust Subspace Blind Channel Estimation for Cyclic Prefixed MIMO OFDM Systems: Algorithm, Identifiability and Performance Analysis”, IEEE Journal on Selected Areas in Communications, Vol. 26, No. 2, pp. 378-387, February 2008. The-Hanh Pham, A. Nallanathan and Y.-C. Liang, “Joint Channel and Frequency Offset Estimation for Distributed MIMO Flat Fading Channels”, IEEE Trans. on Wireless Communications, Vol.7, No.2, pp. 648-656, February 2008. Feifei Gao and A. Nallanathan, “Resolving Multi-Dimensional Ambiguity in Blind Channel Estimation of MIMO-FIR Systems via Block Precoding”, IEEE Trans. on Vehicular Technology, Vol.57, No.1, pp. 11-21, January 2008. Wei Cao, A. Nallanathan and Chin Choy Chai, “Performance Analysis of Pre-rake DS UWB Multiple Access System with Imperfect Channel Estimation”, IEEE Trans. on Wireless Communications, Vol. 6, No.11, November 2007. M.A. Armand A. Halim and A. Nallanathan, "Cascaded versus Non-Cascaded Chase Decoding of Linear Codes over Z4” IEEE Communications Letters, Vol.11, No.10, October 2007. Feifei Gao, A. Nallanathan and C. Tellambura, “Blind Channel Estimation for Cyclic Prefixed Single-Carrier Systems exploiting real symbol characteristics”, IEEE Trans. on Vehicular Technology, Vol.56, No.5, pp. 2487- 2498, September 2007. Feifei Gao and A. Nallanathan, “Blind Channel Estimation for OFDM Systems via a Generalized Precoding”, IEEE Trans. on Vehicular Technology, Vol.56, No.3, pp. 1155 - 1164, May 2007. Feifei Gao and A. Nallanathan, “Blind Channel Estimation for MIMO OFDM Systems via a Non-Redundant Linear Precoding”, IEEE Trans. on Signal Processing, Vol.55, No.2, pp. 784- 789, February 2007. S. Niranjayan, A. Nallanathan and B. Kannan, "Modeling of Multiple Access Interference and BER Derivation for TH and DS UWB Multiple Access Systems”, IEEE Trans. on Wireless Communications, Vol. 5, No. 10, pp. 2794-2804, October 2006. Feifei Gao and A. Nallanathan, “Identifiability of Data-aided Carrier Frequency Offset Estimation over Frequency Selective Channels” IEEE Trans. on Signal Processing, Vol. 54, No. 9, pp. 3653-3657, September 2006. Thomas. S. John, A. Nallanathan and M.A. Armand, "A Non-Resampling Sequential Monte Carlo Receiver for Coded OFDM Systems Based on Periodic Termination of Differential Phase Trellis” IEEE Trans. on Wireless Communications, Vol. 5, No. 6, pp. 1846-1856, July 2006. S. S. Tan, A. Nallanathan and B. Kannan, “Performance of DS-UWB Multiple Access Systems with Diversity Receptions in Dense Multipath environments” IEEE Trans. on Vehicular Technology, Vol. 55, No. 4, pp. 1269-1280, July 2006. S. S. Tan, B. Kannan and A. Nallanathan, “Performance Analysis of UWB Multiple Access Impulse Radio Systems with Antenna Array in Dense Multipath environments” IEEE Trans. on Communications, Vol. 54, No.6, pp. 966-970, June 2006. Feifei Gao and A. Nallanathan, “Blind Maximum Likelihood CFO Estimation for OFDM Systems via Polynomial Rooting”, IEEE Signal Processing Letters, Vol. 13, No.2, pp. 73-76, February 2006. S. S. Tan, B. Kannan and A. Nallanathan, "Multiple Access Capacity of UWB M-ary Impulse Radio Systems with Antenna Array” IEEE Trans. on Wireless Communications, Vol. 5, No.1, pp. 61-66, January 2006. N. Jiang, Y. Deng, O. Simeone and A. Nallanathan, ‘Cooperative Deep Reinforcement Learning for Multiple Groups NB-IoT Networks Optimization', to appear in Proc. of IEEE ICASSP'19, Brighton, United Kingdom, May 2019. H. Ren, C. Pan, Y. Deng, M. Elkashlan and A. Nallanathan, ‘Resource Allocation for URLLC in 5G Mission-Critical IoT Networks', Proc. of IEEE ICC'19, Shanghai, China, May 2019. Y. Liu, Y. Deng, M. Elkashlan, A. Nallanathan and J. Yuan, ‘Markov Model based Energy Harvesting for RACH Analysis in NB-IoT Network', Proc. of IEEE ICC'19, Shanghai, China, May 2019. D. Fan, F. Gao, G. Wang, Z. Zhong, G. Sidhu and A. Nallanathan, ‘Index Detection based Channel Estimation for Hybrid Massive MIMO MmWave Systems', Proc. of IEEE ICC'19, Shanghai, China, May 2019. X. Yue, Y. Liu, Y. Yao, X. Li, R. Liu and A. Nallanathan, ‘Secrecy Outage Performance of A Unified Non-Orthogonal Multiple Access Framework', Proc. of IEEE ICC'19, Shanghai, China, May 2019. W. Yi, Y. Liu, A. Nallanathan and G. K Karagiannidis, ‘A Unified Spatial Framework for Clustered UAV Networks Based on Stochastic Geometry', to appear in Proc. of IEEE GLOBECOM'18, Abu Dhabi, December 2018. X. He, H. Xing, Y. Chen and A. Nallanathan, ‘Energy-efficient Mobile-Edge Computation Offloading for Applications with Shared Data', to appear in Proc. of IEEE GLOBECOM'18, Abu Dhabi, December 2018. L. Zha, Y. Deng, A. Noel, M. Elkashlan and A. Nallanathan, ‘Transceiver Observations in Asymmetric and Symmetric Diffusive Molecular Communication Systems', to appear in Proc. of IEEE GLOBECOM'18, Abu Dhabi, December 2018. D. Fan, F. Gao, B. Ai, G. Wang, Z. Zhong and A. Nallanathan, ‘Self-Positioning for UAV Swarm via RARE Direction-of-Arrival Estimator', to appear in Proc. of IEEE GLOBECOM'18, Abu Dhabi, December 2018. H. Zhang, X. Liu, K. Long, A. Nallanathan and V.C. M Leung, ‘Energy Efficient Resource Allocation and Caching in Fog Radio Access Networks', to appear in Proc. of IEEE GLOBECOM'18, Abu Dhabi, December 2018. X. Li, J. Li, Y. Liu, Z. Ding and A. Nallanathan, ‘Outage Performance of Cooperative NOMA Networks with Hardware Impairments', to appear in Proc. of IEEE GLOBECOM'18, Abu Dhabi, December 2018. H. Zhang, N. Yang, K. Long, M. Pan, G.K Karagiannidis and A. Nallanathan, ‘Energy Efficient Resource Allocation for Secure NOMA Networks'', Proc. of IEEE VTC'18, Portugal, June 2018. X. Yue, Y. Liu, S. Kang, A. Nallanathan and Y. Chen, ‘Outage Performance of Two-Way Relay Non-Orthogonal Multiple Access Systems'', Proc. of IEEE ICC'18, Kansas City, U.S.A, May 2018. R. Amiri, H. Mehrpouyan, L. Fridman, R.K Mallik, A. Nallanathan and D.W Matolak, ‘A Machine Learning Approach for Power Allocation in HetNets Considering QoS'', Proc. of IEEE ICC'18, Kansas City, U.S.A, May 2018. K. Wang, Y. Liu, Z. Ding and A. Nallanathan, ‘User Association in Non-Orthogonal Multiple Access Networks'', Proc. of IEEE ICC'18, Kansas City, U.S.A, May 2018. N. Jiang, Y. Deng, A. Nallanathan, X. Kang and T.Q.S Quek, ‘Collision Analysis of mIoT network with Power Ramping Scheme'', Proc. of IEEE ICC'18, Kansas City, U.S.A, May 2018. W. Yi, L. Liu and A. Nallanathan, ‘Exploiting Multiple Access in Clustered Millimeter Wave Networks: NOMA or OMA? '', Proc. of IEEE ICC'18, Kansas City, U.S.A, May 2018. W. Yi, L. Liu and A. Nallanathan, ‘Modeling and Analysis of mmWave Communications in Cache-enabled HetNets'', Proc. of IEEE ICC'18, Kansas City, U.S.A, May 2018. H. Xing, L. Liu, J. Xu and A. Nallanathan, ‘Joint Task Assignment and Wireless Resource Allocation for Cooperative Mobile-Edge Computing'', Proc. of IEEE ICC'18, Kansas City, U.S.A, May 2018. H. Xing, Y. Liu, A. Nallanathan and Z. Ding, ‘'Sum-rate Maximization Guaranteeing User Fairness for NOMA in Fading Channels'', Proc. of IEEE WCNC'18, Barcelona, Spain, April 2018. W. Yi, Y. Liu and A. Nallanathan, ‘’Modeling and Analysis of Clustered D2D Millimeter-Wave Communications'', Proc. of IEEE ICNC'17, Hawaii, U.S.A March 2018. N. Jiang, Y. Deng, K. Xin and A. Nallanathan, ''A New Spatio-Temporal Model for Random Access in Massive IoT Networks'', Proc. of IEEE GLOBECOM'17, Singapore, December 2017. X. Yue, Y. Liu, A. Nallanathan, Z. Ding and R. Liu, ''Full/Half-Duplex Relay Selection for Cooperative NOMA Networks'', Proc. of IEEE GLOBECOM'17, Singapore, December 2017. S. Akbar, Y. Deng, A. Nallanathan, M. Elkashlan and G.K Karagiannidis, ''Massive MIMO-Enabled Hetnets with Full Duplex Small Cells'', Proc. of IEEE GLOBECOM'17, Singapore, December 2017. J. Cui, Y. Liu, Z. Ding, P. Fan and A. Nallanathan, ''User Selection and Power Allocation for mmWave-NOMA Networks'', Proc. of IEEE GLOBECOM'17, Singapore, December 2017. C. Pan, H. Mehrpouyan, Y. Liu, M. Elkashlan and A. Nallanathan, ''Joint Pilot Association and Robust Beam-Vector Design for Ultra-Dense TDD C-RAN'', Proc. of IEEE GLOBECOM'17, Singapore, December 2017. D. Fan, Y. Deng, F. Gao, Y. Liu, G. Wang, Z. Zhong and A. Nallanathan, ''Training Based DOA Estimation in Hybrid mmWave Massive MIMO Systems'', Proc. of IEEE GLOBECOM'17, Singapore, December 2017. H. Zhang, B. Wang, C. Jiang, K. Long, A. Nallanathan and V.C.M Leung, ''Energy Efficient Dynamic Resource Allocation in NOMA Networks'', Proc. of IEEE GLOBECOM'17, Singapore, December 2017. Z. Chu, T.A Le, H.X Nguyen, M. Karamanoglu, Z. Zhu, A. Nallanathan, E. Ever and A. Yazici, ''Robust Design for MISO SWIPT System with Artificial Noise and Cooperative Jamming'', Proc. of IEEE GLOBECOM'17, Singapore, December 2017. D. Fan, F. Gao, G. Wang, Z. Zhong and A, Nallanathan, '' A Practical Channel Estimation Scheme for Indoor 60 GHz Massive MIMO Systems via Array Signal Processing'', Proc. of IEEE ICC'17, Paris, France, May 2017. X. Yue, Y. Liu, S. Kang, A, Nallanathan and Z. Ding, '' Outage Performance of Full/Half-Duplex User Relaying in NOMA Systems'', Proc. of IEEE ICC'17, Paris, France, May 2017. C. Fan, B. Li, C. Zhao and A. Nallanathan, ''Two-dimensional Distributed Spectrum Reusing in Cognitive Radio Networks: Based on Game Theory'', Proc. of IEEE ICC'17, Paris, France, May 2017. J. Zhao, Y. Liu, K.K. Chai, A. Nallanathan, Y. Chen and Z. Han, ''Resource Allocation for Non-Orthogonal Multiple Access in Heterogeneous Networks'', Proc. of IEEE ICC'17, Paris, France, May 2017. J. Jia, Y. Deng, J. Chen, H. Aghvami, A. Nallanathan and X. Wang, ''Optimizing Availability in CoMP and CA-enabled Hetnets'', Proc. of IEEE ICC'17, Paris, France, May 2017. D.V. Nguyen, T.Q. Duong, O.S. Shin, A. Nallanathan and G.K. Karagiannidis, '' Robust Beamforming for Secrecy Rate in Coopertive Cognitive Radio Multicast Communications'', Proc. of IEEE ICC'17, Paris, France, May 2017. Y. Deng, Adam Noel, W. Guo, A. Nallanathan and M. Elkashlan,'' Stochastic Geometry Model for Large-Scale Molecular Communication Systems'', Proc. of IEEE GLOBECOM'16, Washington D.C, U.S.A, December 2016. M. Al-Kadri, Y. Deng and A. Nallanathan,'' Outage Probability of Heterogeneous Cellular Networks with Full-Duplex Small Cells'', Proc. of IEEE GLOBECOM'16, Washington D.C, U.S.A, December 2016. H. Xing, X. Kang, K.K. Wong and A. Nallanathan,'' Optimization for DF Relaying Cognitive Radio Networks with Multiple Energy Access Points'', Proc. of IEEE GLOBECOM'16, Washington D.C, U.S.A, December 2016. Y. Liu, Z. Qin, M. Elkashlan Y. Gao and A. Nallanathan,'' Non-Orthogonal Multiple Access in Massive MIMO Aided Heterogeneous Networks'', Proc. of IEEE GLOBECOM'16, Washington D.C, U.S.A, December 2016. Jie Jia, Y. Deng, S. Ping H. Aghvami and A. Nallanathan,'' High Availability Optimization in Heterogeneous Cellular Networks'', Proc. of IEEE GLOBECOM'16, Washington D.C, U.S.A, December 2016. Y. Liu, S. Lambotharan, A. Nallanathan and K.K. Wong,''Pricing Based Interference control in Reverse Time Division Duplex Heterogeneous Networks'', Proc. of IEEE ICC'16, Malaysia, May 2016. Z. Yang, S. Ping, A. Nallanathan and L. Zhang,''ECR-MAC: A Energy-efficient Receiver-based MAC Protocol for Cognitive Sensor Networks in Smart Grid'', Proc. of IEEE ICC'16, Malaysia, May 2016. Z. Yang, S. Ping, A. Nallanathan and L. Zhang,''A Receiver-based Routing for Cognitive Radio Enabled AMI Networks'', Proc. of IEEE VTC'16, Nanjing, China, May 2016. H. Xing, Y. Deng, K.K. Wong and A. Nallanathan,''Wireless Powered Large-Scale Multi-Antenna AF Relaying for Cooperative Jamming-Aided Secrecy'', Proc. of IEEE SPAWC'16 (invited paper) ,Edinburgh, July 2016. Ali Al Talabani, A. Nallanathan and Huan Nguyen, ''Enhancing secrecy rate in cognitive radio via game theory'', Proc. of IEEE GLOBECOM'15, San Diego, U.S.A, December 2015. Sunila Akbar, Y. Deng, A. Nallanathan and M. Elkashlan, ''Downlink and Uplink Transmission in K-tier Heterogeneous Cellular Network with Simultaneous Wireless Information and Power Transfer'', Proc. of IEEE GLOBECOM'15, San Diego, U.S.A, December 2015. Lisheng Fan, S. Zhang, Trung Q. Duong, George K. Karagiannidis and A. Nallanathan, ''Switch-and-Stay Combining Relaying for Security Enhancement in Cognitive Radio Networks'', Proc. of IEEE GLOBECOM'15, San Diego, U.S.A, December 2015. Z. Qin, Y. Liu, Y. Gao, Maged Elkashlan and A. Nallanathan, ''Throughput Analysis for Compressive Spectrum Sensing with Wireless Power Transfer'', Proc. of IEEE GLOBECOM'15, San Diego, U.S.A, December 2015. H. Zhang, Y. Nie, J. Cheng, Victor CM Leong and A. Nallanathan, ''Secure Multi-Antenna Transmission in Three-Tier Wireless Sensor Networks'', Proc. of IEEE GLOBECOM'15, San Diego, U.S.A, December 2015. Y. Deng, L. Wang, Maged Elkashlan, A. Nallanathan and R.K. Mallik, ''Hybrid Spectrum Sensing Based Power Control for Energy Efficient Cognitive Small Cell Network'', Proc. of IEEE GLOBECOM'15, San Diego, U.S.A, December 2015. H. Xing, K.K. Wong and A. Nallanathan, ''Secure Wireless Energy Harvesting-Enabled AF-Relaying SWIPT Networks'', Proc. of IEEE ICC'15, London, U.K, June 2015. Ali Al Talabani, A. Nallanathan and H. Nguyen, ''Enhancing Physical Layer Security of Cognitive Radio Transceiver via Chaotic OFDM'', Proc. of IEEE ICC'15, London, U.K, June 2015..
Bin Li, Zheng, C.Zhao, Y. Nan and A. Nallanathan, ''Deep Sensing for 5G Spectrum Sharing: A Random Finite Set Approach'', Proc. of IEEE ICC'15, London, U.K, June 2015..
Y. Deng, K.J. Kim, T.Q. Duong, M. Elkashlan, G.K. Karagiannidis and A. Nallanathan, ''Full-Duplex Spectrum Sharing in Cooperative Single Carrier Systems'', Proc. of IEEE WCNC'15, New Orleans, U.S.A, March 2015. Y. Liu, L. Wang, M. Elkashlan, T.Q. Duong and A. Nallanathan, ''Two-Way Relaying Networks with Wireless Power Transfer: Policies Design and Throughput Analysis'', Proc. of IEEE GLOBECOM'14, Austin, U.S.A, December 2014. H. Zhang, C. Jiang, X. Mao and A. Nallanathan, “Resource Management in Cognitive Opportunistic Access Femtocells with Imperfect Spectrum Sensing'', Proc. of IEEE GLOBECOM'14, Austin, U.S.A, December 2014. Bin Li, M. Sun, C. Zhao and A. Nallanathan, “Energy Detection Based Spectrum Sensing in the Presence of Time-Frequency Double Selective Fading Propagations'', Proc. of IEEE GLOBECOM'14, Austin, U.S.A, December 2014. Bin Li, Zheng Zhou, C.Zhao and A. Nallanathan “Bayesian Joint Detections for 60GHz Millimeter-wave Communications with the Power Amplifier Nonlinearity'', Proc. of IEEE ICC'14, Sydney, Australia, June 2014. Ali Hooshmand, A. Nallanathan and Hamid Aghvami, “Joint Inter-Cell Interference Coordination and Forced Cooperative Scheduling for the Downlink of LTE Systems “, Proc. of IEEE WCNC'14, Istanbul, Turkey, April 2014. Bin Li, Zheng Zhou and A. Nallanathan “Joint Estimation Based Spectrum Sensing for Cognitive Radios in Time-Variant Fading Channels'', Proc. of IEEE GLOBECOM'13, Atlanta, U.S.A, December 2013. Nan Zhao, Tianyi Qu, Hongjian Sun, A. Nallanathan and Hongxi Yin, “Frequency Scheduling Based Interference Alignment for Cognitive Radio Networks“, Proc. of IEEE GLOBECOM'13, Atlanta, U.S.A, December 2013. K.J. Kim, T.Q. Duong, M. Elkashlan, Phee Lep Yeoh and A. Nallanathan, “Two-Way Cognitive Relay Networks with Multiple Licensed Users“, Proc. of IEEE GLOBECOM'13, Atlanta, U.S.A, December 2013. Vo Nguyen Quoc Bao, T.Q. Duong, A. Nallanathan and C. Tellambura, “Effect of Imperfect Channel State Information on the Performance of Cognitive Multiple Relay Networks“, Proc. of IEEE GLOBECOM'13, Atlanta, U.S.A, December 2013. Bin Li, Zheng Zhou, C. Zhao and A. Nallanathan, “Biological Cluster Identification for Ultra-Wideband Multipath Propagations'', Proc. of IEEE GLOBECOM'13, Atlanta, U.S.A, December 2013. Vo Nguyen Quoc Bao, T.Q. Duong, A. Nallanathan and G.K. Karagiannidis, “Distributed Switch-and-Stay Combining in Cognitive Relay Networks under Spectrum Sharing Constraints“, Proc. of IEEE GLOBECOM'13, Atlanta, U.S.A, December 2013. N. Shiwen, Y. Huang, A. Nallanathan, Y. Luxi, L. Jiang, Ming Lei and Shi Jin, “Block Coordinated Beamforming Algorithm for Multi-Cell MISO downlink Systems“, to appear in Proc. of IEEE ICC'13, Budapest, Hungary, June 2013. N. Zhao, R. Yu, H. Sun, H. Yin and A. Nallanathan, “Interference Alignment Based on Channel Prediction with Delayed Channel State Information“, Proc. of IEEE GLOBECOM'12, Anaheim, U.S.A, December 2012. Hongjian Sun, A. Nallanathan, Nan Zhao and C.X. Wang, “Green Data Transmission in Power Line Communications“, Proc. of IEEE GLOBECOM'12 , Anaheim, U.S.A, December 2012. H. Shiwen, Y. Huang, H. Wang, A. Nallanathan and Y. Luxi, “Coordinated Multi-cell Beamforming Scheme Using Uplink-Downlink Max-Min SINR Duality“, Proc. of IEEE GLOBECOM'12, Anaheim, U.S.A, December 2012. H. Zhang, H. Xing, X. Chu, A. Nallanathan, W. Zheng and X. Wen, “Secure Resource Allocation for OFDMA Two-Way Relay Networks“, Proc. of IEEE GLOBECOM'12, Anaheim, U.S.A, December 2012. N. Zhao, R. Yu, H. Sun and A. Nallanathan,“An Energy-Efficient Cooperative Spectrum Sensing Scheme for Cognitive Radio Networks “, Proc. of IEEE GLOBECOM'12, Anaheim, U.S.A, December 2012. H. Zhang, W. Zheng, X. Chu, X. Wen, M. Tao, A. Nallanathan and David Lopez-Perez, “Joint Subchannel and Power Allocation in Interference-Limited OFDMA Femtocells with Heterogeneous QoS Guarantee“, Proc. of IEEE GLOBECOM'12, Anaheim, U.S.A, December 2012. Stergios Stotas and A. Nallanathan “Outage and TIFR Capacity of Sensing Enhanced Spectrum Sharing Cognitive Radio Networks with Missed Detection Protection Constraints’’, Proc. of IEEE ICC'12, Ottawa, Canada, June 2012. Hongjian Sun, A. Nallanathan, Jing Jiang and H. Vincent Poor, “Compressive Autonomous Sensing (CASe) for Wideband Spectrum Sensing“, Proc. of IEEE ICC'12, Ottawa, Canada, June 2012. Stergios Stotas and A. Nallanathan “On the Outage and TIFR Capacity of Sensing Enhanced Spectrum Sharing Systems’’, Proc. of IEEE ICC'12, Ottawa, Canada, June 2012. T. Q. Duong, Hien Quoc Ngo, Hans-Jurgen Zepernick and A. Nallanathan, “Distributed Space-Time Coding in Two-Way Fixed Gain Relay Networks over Nakagami-m Fading“, Proc. of IEEE ICC'12, Ottawa, Canada, June 2012. Gaftaar Sidhu, Feifei Gao, Liao Xuewen and A. Nallanathan, “A General Framework for Optimizing AF Based Multi-Relay OFDM Systems“, Proc. of IEEE ICC'12, Ottawa, Canada, June 2012. Liang Tang, Yunfei Chen, A. Nallanathan and Evor L. Hines, " Spectrum Sensing Based on Recovered Secondary Frame in the Presence of Realistic Decoding Errors", Proc. of IEEE ICC'12, Ottawa, Canada, June 2012. Stergios Stotas and A. Nallanathan, “Improving the Outage and Tifr capacity of Spectrum Sharing Cognitive Radio Networks“, IEEE GLOBECOM'11, Houston, Texas, U.S.A, December 2011. Hongjian Sun, A. Nallanathan, Jing Jiang, David I. Laurenson, Cheng-Xiang Wang and H. Vincent Poor, “A Novel Wideband Spectrum Sensing System for Distributed Cognitive Radio Networks“, Proc. of IEEE GLOBECOM'11, Houston, Texas, U.S.A, December 2011. Abdulla Firag, Peter A Smith, H.A. Suraweera and A. Nallanathan, “Beamforming in Correlated MISO Systems with Channel Estimation Error and Feedback Delay “, Proc. of IEEE GLOBECOM'11, Houston, Texas, U.S.A, December 2011. Gaftaar Sidhu, Feifei Gao, Lisheng Fan and A. Nallanathan, “A Joint Resource Allocation Scheme for Relay Aided Uplink Multi-User OFDMA System “, Proc. of IEEE GLOBECOM'11, Houston, Texas, U.S.A, December 2011. Wei Cao, Qi Zhang and A. Nallanathan, “A UWB Localization Scheme for LOS and NLOS Environments Using Orthogonal Codes“, Proc. of IEEE ICUWB'11, Bologna, Italy, September 2011. Hongjian Sun, A. Nallanathan and Jing Jiang, “Adaptive Compressive Spectrum Sensing in Distributed Cognitive Radio Networks “,Proc. of IEEE APWCS'11, Singapore, August 2011. Hongjian Sun, A. Nallanathan Jing Jiang and Cheng-Xiang Wang, '' Cooperative Spectrum Sensing with Diversity Reception in Cognitive Radios'' Proc. of CHINACOM'11, Harbin, China, August 2011. Stergios Stotas and A. Nallanathan, “Optimal Sensing and Power Allocation Strategy for an Efficient Cognitive Radio System“, Proc. of IEEE ICC'11, Kyoto, Japan, June 2011. T. Q. Duong, H.A. Suraweera, T. Tsiftsis, Hans-Jurgen Zepernick and A. Nallanathan, “OSTBC Transmission in MIMO AF Relay Systems with Keyhole and Spatial Correlation Effects“, Proc. of IEEE ICC'11, Kyoto, Japan, June 2011. H.A. Suraweera, D.S. Machalopoulos, Robert Schober, G.K. Karagiannidis, and A. Nallanathan, “Fixed Gain Amplify-and-Forward Relaying with Co-Channel Interference“, Proc. of IEEE ICC'11, Kyoto, Japan, June 2011. Stergios Stotas and A. Nallanathan, “On the Throughput Maximization of Spectrum Sharing Cognitive Radio Networks“, Proc. of IEEE GLOBECOM'10, Miami, Florida, U.S.A, December 2010. Stergios Stotas and A. Nallanathan, “Sensing Time and Power Allocation Optimization in Wideband Cognitive Radio Networks“, Proc. of IEEE GLOBECOM'10, Miami, Florida, U.S.A, December 2010. The-Hanh Pham, Y.-C. Liang, H.K. Garg, and A. Nallanathan, “Joint Channel Estimation and Data Detection for MIMO-OFDM Two-Way Relay Networks“, Proc. of IEEE GLOBECOM'10, Miami, Florida, U.S.A, December 2010. Stergios Stotas and A. Nallanathan, “Overcoming the Sensing-Throughput Tradeoff in Cognitive Radio Networks“, Proc. of IEEE ICC'10, Cape Town, South Africa, May 2010. Himal A. Suraweera, H.K. Garg and A. Nallanathan, “Beamforming in Dual-Hop Fixed Gain Relay Systems with Antenna Correlation“, Proc. of IEEE ICC'10, Cape Town, South Africa, May 2010. Qi Zhang, Wei Cao and A. Nallanathan, “Cram'er-Rao Lower Bounds for UWB Localization with Antenna Array“, Proc. of IEEE ICC'10, Cape Town, South Africa, May 2010. The-Hanh Pham, H.K. Garg, Y.-C. Liang and A. Nallanathan, “Doubly Iterative Receiver for MIMO Amplify-and-Forward Relay Networks“, Proc. of IEEE WCNC'10, Sydney, April 2010. Himal A. Suraweera, George K. Karagiannidis, Yonghui Li, H.K. Garg, A. Nallanathan and Branka Vucetic, “Amplify-and-Forward Relay Transmission with End-to-End Antenna Selection“, Proc. of IEEE WCNC'10, Sydney, April 2010. Yang Lu, Feifei Gao, P.K. Sadasivan and A. Nallanathan, "Semi-Blind Channel Estimation for Space-Time Coded Amplify-and-Forward Relay Networks", Proc. of IEEE GLOBECOM'09, Hawaii, U.S.A, November 2009. Tao Cui, Feifei Gao and A. Nallanathan, "Optimization in Distributed Cooperative Spectrum Sensing for Cognitive Radio", Proc. of IEEE SPAWC'09, Perugia, Italy, June 2009. Zhimeng Zhong, Shihua Zhu and A. Nallanathan, "Delay-Tolerant Distributed Linear Convolutional Space-Time Code under Frequency-selective Channels", Proc. of IEEE ICC'09, Dresden, Germany, June 2009. Bin Jiang, Feifei Gao, Xiqi Gao and A. Nallanathan, "Channel Estimation for Amplify-and-Forward Two-Way Relay Network with Power Allocation", Proc. of IEEE ICC'09, Dresden, Germany, June 2009. The-Hanh Pham, Y.-C. Liang, A. Nallanathan and H.K. Garg "Iterative Receiver for Multi-Input Multi-Output (MIMO) Two-Way Wireless Relay Systems", Proc. of IEEE ICC'09, Dresden, Germany, June 2009. Wei Cao, Qi Zhang, A. Nallanathan and H.K. Garg "A Novel High Data Rate Pre-rake UWB System Using Orthogonal Codes and Chip-Interleaving", Proc. of IEEE ICC'09, Dresden, Germany, June 2009. The-Hanh Pham, Y.C. Liang and A. Nallanathan, "Optimal Training Sequence Design for Bi-Directional Relay Networks", Proc. of IEEE GLOBECOM'08, New Orleans, U.S.A, November 2008. Zhimeng Zhong, Shihua Zhu and A. Nallanathan, "'A Novel Distributed Space-Time Trellis Code for Asynchronous Cooperative Communications under Frequency-Selective Channels'", Proc. of IEEE GLOBECOM'08, New Orleans, U.S.A, November 2008. Feifei Gao, A. Nallanathan and C. Tellamabura, "Reduced Complexity ML Detection for Differential Unitary Space-Time Modulation with Carrier Frequency Offset", Proc. of IEEE GLOBECOM'08, New Orleans, U.S.A, November 2008. The-Hanh Pham, A. Nallanathan and Y.C. Liang, "An Iterative Receiver for Distributed Multi-Input Multi-Output (MIMO) Flat-Fading Channels", Proc. of IEEE GLOBECOM'08, New Orleans, U.S.A, November 2008. Feifei Gao, Tao Cui and A. Nallanathan, "Maximum Likelihood Channel Estimation in Decode-and-Forward Relay Networks", Proc. of IEEE ISIT'08, Toronto, Canada, July 2008. Kang Xin, Ying Chang Liang and A. Nallanathan, "Optimal Power Allocation for Cognitive Radio Fading Channels under Transmitted and Interference Power Constraints", Proc. of IEEE ICC'08, Beijing, China, May 2008. Feifei Gao, Tao Cui and A. Nallanathan, "Training Signal Design for Channel Estimation in Decode and Forward Relay Networks", Proc. of IEEE ICC'08, Beijing, China, May 2008. The-Hanh Pham, Ying Chang Liang and A. Nallanathan, "Joint Channel Estimation and Data Detection for Multi-Input Multi-Output Single Carrier Cyclic-Prefix (MIMO-SCCP) Systems, Proc. of IEEE ICC'08, Beijing, China, May 2008. Tao Cui, F. Gao, Tracey Ho and A. Nallanathan, "Distributed Space-Time Coding for Two-Way Wireless Relay Networks, Proc. of IEEE ICC'08, Beijing, China, May 2008. Kang Xin, Ying Chang Liang and A. Nallanathan, " Delay-limited Capacity and Outage Capacity Analysis for Fading Channels in Cognitive Radio Networks under Interference Power Constrain, Proc. of IEEE VTC'08, Singapore, May 2008. Chen Qian, Feifei Gao, A. Nallanathan and Xin Yan, "Improved Cooperative Spectrum Sensing in Cognitive Rad, Proc. of IEEE VTC'08, Singapore, May 2008. Cao Wei, A. Nallanathan and Chai Chin Choy, "A Novel High Data Rate Prerake DS UWB Multiple Access System and Its Accurate Interference Model", Proc. of IEEE GLOBECOM'07, Washington D.C., U.S.A, November 2007. Feifei Gao, Tao Cui and A. Nallanathan, "Optimal Training Design for Channel Estimation in Amplify and Forward Relay Networks", Proc. of IEEE GLOBECOM'07, Washington D.C., U.S.A, November 2007. The-Hanh Pham, Y.C. Liang and A. Nallanathan, "Doubly Iterative Receiver for Single carrier Cyclic-Prefix Transmissions with EM-Based Channel Estimation ", Proc. of IEEE GLOBECOM'07, Washington D.C., U.S.A, November 2007. Feifei Gao, Tao Cui, A. Nallanathan and C. Tellambura, "Maximum Likelihood Detection and Optimal Code Design for Differential Unitary Space-Time Modulation with Carrier Frequency Offset", Proc. of IEEE GLOBECOM'07, Washington D.C., U.S.A, November 2007. Tao Cui, Feifei Gao and A. Nallanathan, "Frequency Offset Tracking for OFDM Systems via Scattered Pilots and Virtual Carriers", Proc. of IEEE ICC’'07, pp. 5120-5125, Glasgow, June 2007. Feifei Gao, Wenyuan Wu, Y. Zeng and A. Nallanathan, "A Novel Blind Channel Estimation for CP-Based MIMO OFDM Systems", Proc. of IEEE ICC’'07, pp. 2586-2591, Glasgow, June 2007. Tao Cui, Feifei Gao, A. Nallanathan and C. Tellambura, "ML CFO and PO Estimation in DCT OFDM Systems under Non-Circular Transmissions", Proc. of IEEE ICC’'07, pp. 6275-6280, Glasgow, June 2007. The-Hanh Pham, A. Nallanathan and Y.C. Liang, "An EM-Based Joint Channel Estimation and Data Detection for SIMO Systems", Proc. of IEEE APCCAS'06, pp. 143-146, Singapore, December 2006 (invited paper). Cao Wei, A. Nallanathan and Chai Chin Choy, "On the Tradeoff between Data Rate and BER Performance of Pre-RAKE DS UWB System", Proc. of IEEE GLOBECOM'06, pp. 1-5, San Francisco, U.S.A, November 2006. Cao Wei, A. Nallanathan and Chai Chin Choy, "Exact BER Analysis of DS PPM UWB Multiple Access System in Lognormal Multipath Fading Channels", Proc. of IEEE GLOBECOM'06, pp. 1-5, San Francisco, U.S.A, November 2006. Feifei Gao and A. Nallanathan, "Higher Dimensional Ambiguity Free Blind Channel Estimation for MIMO-FIR Systems Via Linear Block Precoding", Proc. of IEEE GLOBECOM'06, pp. 1-6, San Francisco, U.S.A, November 2006. Cao Wei, A. Nallanathan and Chai Chin Choy, "On the Multiple Access Performance of Prerake DS UWB System", Proc. of IEEE MILCOM'06, pp. 1-7, Washington D.C, U.S.A, October 2006. Feifei Gao, A. Nallanathan and Yide Wang, "Improved MUSIC by Exploiting Both Real and Complex Sources", Proc. of IEEE MILCOM'06, pp. 1-6, Washington D.C, U.S.A, October 2006. The-Hanh Pham, A. Nallanathan and Y.C. Liang, "Joint Channel Estimation and Data Detection for MIMO Systems: SAGE-Based Approach", Proc. of IEEE MILCOM'06, pp. 1-7, Washington D.C, U.S.A, October 2006. Cao Wei, A. Nallanathan and Chai Chin Choy, "Exact BER Analysis of DS PAM UWB Multiple Access System in Lognormal Multipath Fading Channels", Proc. of IEEE VTC'06, pp. 1-5, Montreal, Canada, September 2006. Feifei Gao and A. Nallanathan, "Blind Channel Estimation for OFDM Systems via a General Non-Redundant Precoding", Proc. of IEEE ICC'06, Vol.10, pp. 4612-4617, Istanbul, Turkey, June 2006. The-Hanh Pham, A. Nallanathan and Y.C. Liang, "Joint Channel Estimation and Data Detection for SIMO Systems: An EM-Based Approach", Proc. of IEEE ICC'06, Vol.9, pp. 4285-4290, Istanbul, Turkey, June 2006. Feifei Gao and A. Nallanathan, "Subspace-Based Blind Channel Estimation for MISO and MIMO OFDM Systems", Proc. of IEEE ICC'06, Vol.7, pp.3025-3030, Istanbul, Turkey, June 2006. Feifei Gao and A. Nallanathan, "Identifiability of Training Based CFO Estimation over Frequency Selective Channels", Proc. of IEEE ICC'06, Vol.3, pp. 1421-1426, Istanbul, Turkey, June 2006. C. Shan, P.Y. Kam and A. Nallanathan, "Transmit Antenna Selection for Space-Time Block Coded Systems with Channel Estimation", Proc. of IEEE ICC'06, Vol.4, pp. 1532-1536, Istanbul, Turkey, June 2006. Feifei Gao and A. Nallanathan, "A Novel Subspace-Based Blind Channel Estimation for Cyclic Prefixed Single-Carrier Transmissions", Proc. of IEEE WCNC'06, Las Vegas, U.S.A, April 2006. Feifei Gao and A. Nallanathan, "Polynomial Rooting Based Maximum Likelihood Carrier Frequency Offset Estimation for OFDM Systems", Proc. of IEEE WCNC'06, Las Vegas, U.S.A, April 2006. Feifei Gao and A. Nallanathan, "A Simple Subspace-Based Blind Channel Estimation for OFDM Systems", Proc. of IEEE WCNC'06, Las Vegas, U.S.A, April 2006.